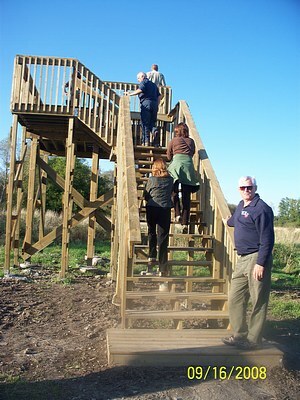 The waterfowl viewing platform was constructed in 2008 and is located off of Concession 2, along the Mad River. It provides excellent views for watching birds during their spring and fall migrations. The Friends of Minesing Wetlands accepts donations in the form of $2 for a Conservation Lands day-pass payable at self-serving kiosks at the parking area.